What does it mean to eat a “plant-based diet?” And if protein doesn’t come from meat, where the heck will it come from… and will it taste good and satisfy? Whether you are doing the Meatless Mondays thing or if you are interested in a complete change to cleaner eating, this powerhouse of a class will help you get there. Cindy Newland, author, speaker, certified health coach and experienced plant-based cook, is the perfect person to give you the information you need, not only about what it means to eat this way but how to make it happen. She struggled with a back injury that led her to make drastic changes, and with those changes she lost 125 pounds and discovered a whole new way of eating and nourishing her body with plant-based foods. Today, she’ll teach you what she knows and will share some of her favorite versatile plant-based recipes. She understands that the ingredients can be a little intimidating, and that folks want to purchase them but don’t know where to start, and don’t want to waste a lot of money on ingredients that they might not use again. She gets it, and so will you after this class. Come soak in the knowledge as she walks you through delicious dishes with protein substitutes like Jackfruit (say what?) 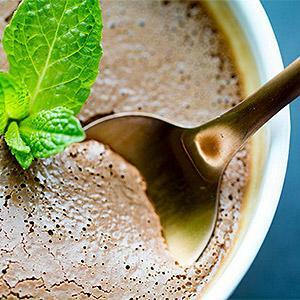 in an amazing Jackfruit Verde topped with a Spicy Cashew “Cheese” Sauce, healthy handmade corn tortillas (you can toss those store bought versions), a dairy-free Mexican Pots de Creme (that means Creamy Chocolate dessert! ), and more. These 'keeper' dishes are sure to change the way you feed yourself and your family, as you learn the basics and gain the confidence needed to cook for a plant-based lifestyle. Bring your questions and prepare to take lots of notes in this informative healthy cooking class. Sat 6/1/19 10:00 a.m. - 12:30 p.m. Expert culinary instructors teaching simple steps that can change your life, one dish at a time! We have individual classes in our Cookwell™ Program as well as entire programs designed for corporate wellness initiatives. Why? Because wellness begins in your kitchen. CookWell!™ is a trademark and service mark of The Culinary Center of Kansas City®.